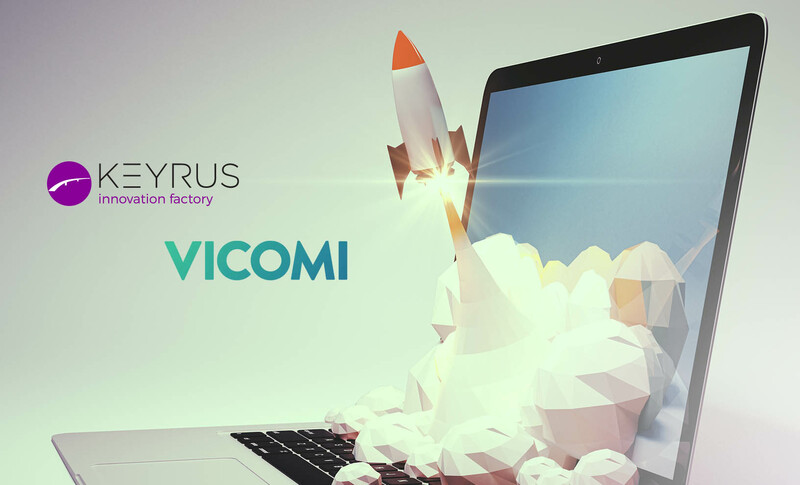 KEYRUS | The Keyrus Innovation Factory accelerator propels the Vicomi start-up and its sentiment prediction Big Data platform. The Keyrus Innovation Factory accelerator propels the Vicomi start-up and its sentiment prediction Big Data platform. Vicomi, a start-up in the media sector, has been able to take advantage of the Keyrus Group accelerator's program to finalize the development of its platform and deploy it more quickly at international level. Keyrus Innovation Factory (KIF), the Keyrus Group's accelerator of start-ups, announces that it has successfully assisted Vicomi with its international expansion. The Israeli start-up has been able to benefit from the KIF program, which aims in particular to connect start-ups showing strong potential with major European enterprises looking for innovative technologies. As soon as it was founded in 2013, Vicomi began to work on an emotional Big Data solution to offer media companies and their advertisers better insight into their visitors through the analysis of their sentiments. Using behavioral analysis algorithms, predictive functions, and deep learning techniques, Vicomi succeeded in creating the first sentiment prediction platform capable of predicting whether you are going to like an article and click on the links associated with it. In 2015, The Israeli start-up took a major turn by joining the Keyrus Innovation Factory program. Very quickly, it took advantage of the expertise of the Keyrus Group's accelerator in the areas of Data Discovery, Data Mining, and Big Data to finalize its platform's Big Data infrastructure and package its offering. In concrete terms, by inviting web users to choose clickable smileys or write comments, this solution allows them to express their emotions (interested, joyful, appalled, indifferent…) faced with an article or a video. Depending on their input, the media companies are then able to propose content recommendations to them and thus an enhanced user experience. A supplemental analytical module also allows them to obtain additional information on the behavior of their visitors. The start-up thus enables the media companies to boost traffic and engagement on their sites. Vicomi was also able to take advantage of the Keyrus Group's international network by taking part in a tailor-made roadshow across Europe. The start-up was thus able to land contracts with several large-scale media companies including the M6 Group to integrate its solution into the Clubic information site. Today, Vicomi is present on more than 16000 editorial sites and the prospects for its technological and commercial development are very promising. "Vicomi is the perfect example of what we want to, and can, accomplish with the Keyrus Innovation Factory program" declares Cyril Cohen-Solal, Director of Keyrus Innovation Factory. "We enabled Vicomi to take its product forward and enter new markets quickly. Data-driven predictive modelling and the optimization of recommendation engines today represent a strategic, economic, and technological challenge for any enterprise with an activity linked to digital. " "Joining the Keyrus Innovation Factory program has been a tremendous opportunity for Vicomi's expansion" declares Eli Ken-Dror, President, CEO and co-Founder of Vicomi. "We found in Keyrus a valuable partner who brought to us its technological expertise and incredible network of European enterprises. Our solution will carry on developing technologically so as to go even further into emotions, which will enable us to reach into new markets, like the United States. " KIF also has a seed fund available to it for making highly selective investments in start-ups that will enrich the Keyrus Group's portfolio of innovative solutions.